Standard Time Press, 9780996328005, 344pp. When a young writer enters into an affair with a charming foreign correspondent, she has no idea that an uncharacteristic moment of spontaneity will change her life forever. Twenty-two-year-old Georgina Park dreams of being a hard-hitting journalist, but to pay the bills she's covering the red carpet for a celebrity magazine. Her world is turned upside down when a chance meeting with Simon Grant, an Australian TV reporter who is 20 years her senior-and married-leads to an intense, sexually charged relationship that continues even after he returns home to Sydney. But when some compromising photos from Georgina's past come back to haunt her years later, it appears Simon is to blame. Now a prolific newspaper columnist and college instructor, Georgina must use her investigative reporting skills to save herself-and revisit the affair that started it all. 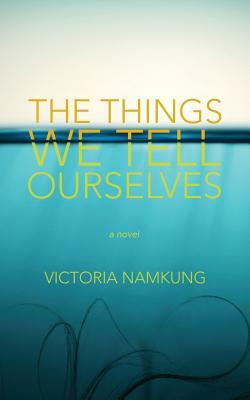 Set in Los Angeles, The Things We Tell Ourselves takes readers from the klieg lights of Hollywood to the dark corners of the Internet, exploring love, marriage and technology along the way. At its heart, the novel is a literary examination of the damage one generation can inflict on the next and the compromises we make between our ideals and life's realities, between what we desire and doing the right thing. For more than a decade, I was a fashion, celebrity, and lifestyle journalist who was widely published in the Los Angeles Times, style.com, C magazine, USA Today, InStyle, and Los Angeles magazine, among others. Today, I regularly write essays for places like the Washington Post and xoJane, blog for the Huffington Post, and serve as a cultural commentator. I currently appear on episodes of Mike Epps' AOL Originals series, That's Racist. After receiving my master's in Asian American Studies from UCLA, I taught courses on gender, immigration, and writing at UCSB, UCLA, and 826LA, and contributed to the books Where to Wear Los Angeles, Frommer's Los Angeles, A Hedonist's Guide to Los Angeles, and Asian American Youth. As a stem cell donor and advocate for Be the Match, I've been featured in the Wall Street Journal and on Doctor Radio on SiriusXM. The Things We Tell Ourselves is my first novel. Learn more at victorianamkung.com and join my email list for exclusives, extras and giveaways at tinyletter.com/victorianamkung.